The Code is designed to preserve the library as a place for research and study on a daily basis. Snowden Library abides by Federal laws, the statues of the Commonwealth of Pennsylvania, local ordinances, the Lycoming College Student Handbook, and other College policies that guide behavior on campus. Presented here are particular guidelines for behavior within the Library. Violations of this code may result in the loss of library privileges or further legal or disciplinary actions. Disruptive behavior, excessive noise, and harassment of patrons or staff are prohibited. Defacement of materials, equipment, or furniture is prohibited and may lead to criminal prosecution. Use of any type of tobacco product is prohibited. Appropriate use of copyright and licensed databases is the responsibility of the user. The misuse of materials may lead to criminal prosecution. Internet access is available only to members of the Lycoming College community. Young children are welcome on an occasional basis, but must be accompanied and supervised by an adult. 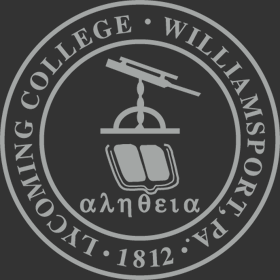 Library users who are not members of the Lycoming College community are guests of the Library and College. They may be asked to leave if their behavior disturbs library patrons or staff. Cell phones must be set to non-audible signals upon entering the library. Covered beverages and small snacks are allowed in the library. Patrons should refrain from eating around computer areas and dispose of all food containers in the appropriate receptacles. Solicitation for donations and signatures or operating a business is not allowed within the library building. Patrons having questions or comments about the Snowden Library Code of Conduct and its application should contact the Associate Dean and Director of Library Services.